The audio launch of director Ram's Peranbu happened last night, at Kalaivanar Arangam, where many leading directors and actors from Kollywood turned up for the event. Director Mysskin was all praise for Mammootty's acting, during his speech. He said, "Mammooka, where were you all the while? There is this one particular shot in the film, where he has proved himself as an actor. There is a close-up shot and that actor had to express a shock. Instead of coming in front of the camera, Mammootty goes behind and expresses a dejected feel, just with his performance. Mark my words, that shot will speak words. Had someone else acted in this film, we'd all have got scared, because of their extraordinary acting skills (sarcastically). I appreciate Ram for choosing Mammootty to play that role. Had he been a woman of a young age, I would have fallen in love. I would have even raped him. He is such a fabulous actor. He is a textbook indeed." The audio launch of director Ram's Peranbu happened last night, at Kalaivanar Arangam, where many leading directors and actors from Kollywood turned up for the event. 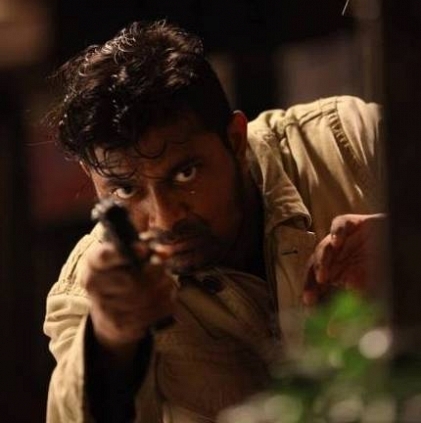 Director Mysskin was all praise for Ram, Mammootty, and the film, during his speech. He said, "One and half years back, a producer came up to me and told that his film's title will collect 15 Crore. That title was Iruttu Araiyil Murattu Kuthu. And as he said, the film did collect 15 crores, and it is was wise of him to understand our cinema industry. Same time, another director came up to me and told that he has titled his next film as 'Peranbu'. Yes, it is Ram. He has delivered a precious gem for Tamil cinema. Directors like me, Vetri, Ameer, are all very proud of him. This is one of the finest films made in India. You (audience) can definitely make films like Iruttu Araiyil Murattu Kuthu win, but also do care about films like Peranbu too. Many people hid their faces and came to watch IAMK. You can watch that film in dark. But, Peranbu is a film that can be and should be watched in a sunlight. Your mother or father or sister cannot see a film like IAMK, but this film, Peranbu - you can buy a DVD at your house and show your grandchildren and the coming generations too. Ram has elevated his film language and his love for cinema to a greater level. I salute director Ram for making this fabulous film. Thenappan sir has just become a producer. None of the movies that you've produced till date, can be qualified as films. Peranbu is the start of your good cinema. I would say I learnt cinema after watching Seven Samurai. Now, I will tell my assistants to watch Peranbu and learn cinema. Peranbu has a mighty power and it has all the positive vibe. Peranbu is a God. My kisses and love to Ram. We are definitely not exaggerating. Watch the film FDFS and know for yourself." 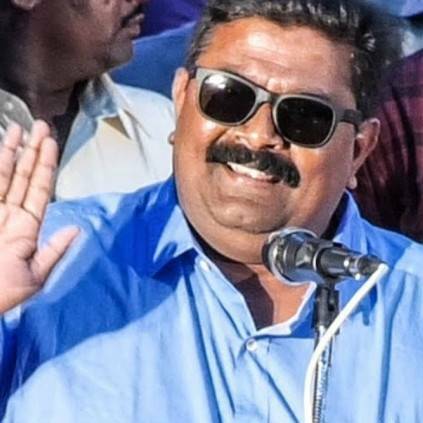 People looking for online information on Mysskin, Peranbu will find this news story useful.